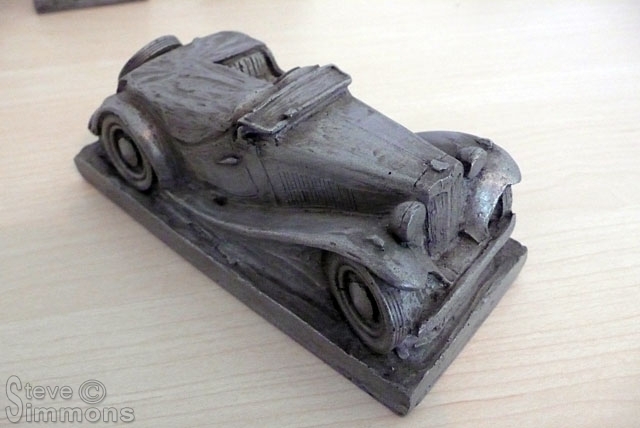 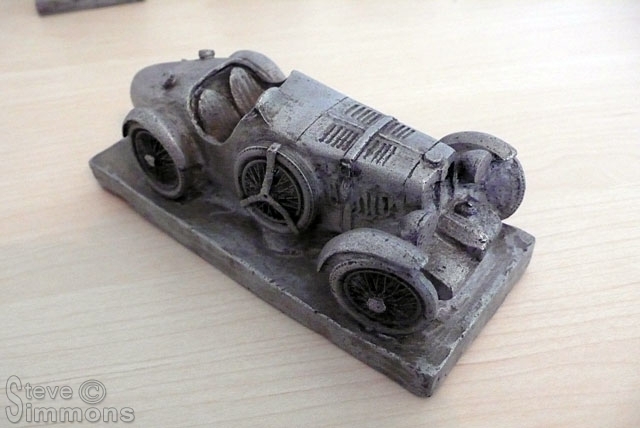 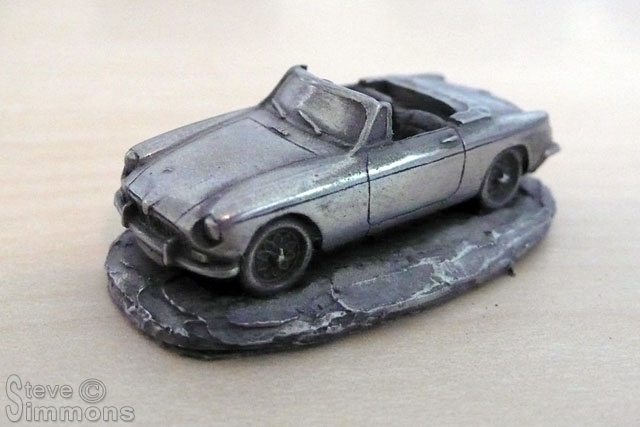 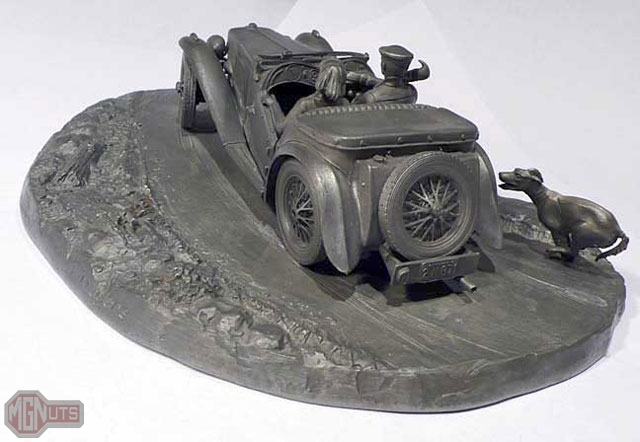 Original sculptures in 1:24 scale. 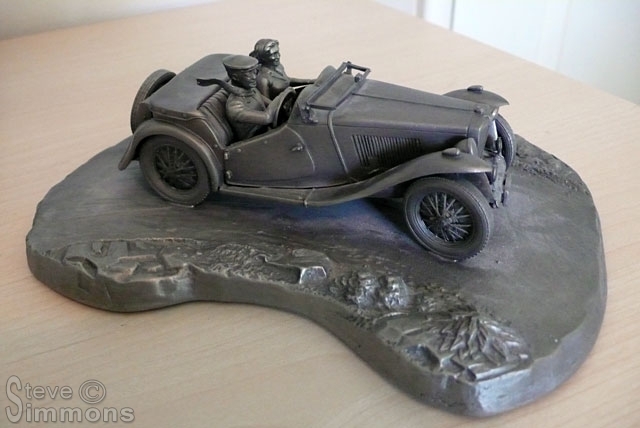 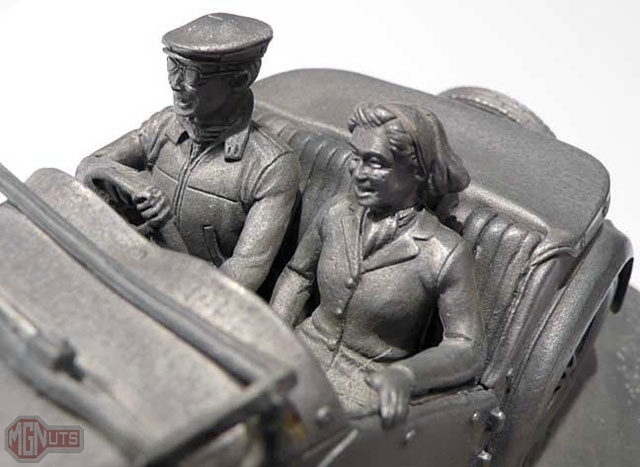 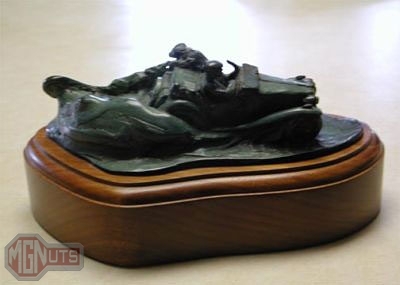 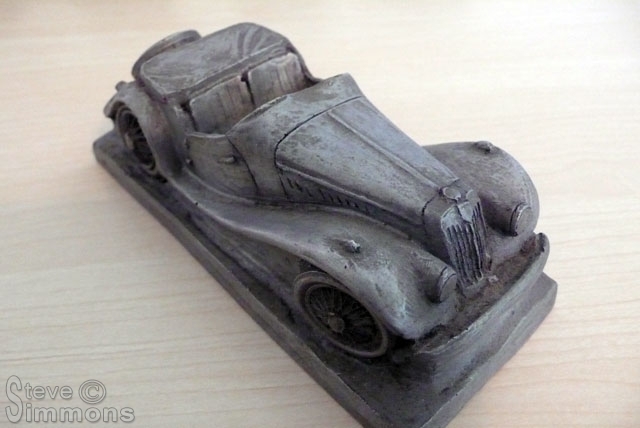 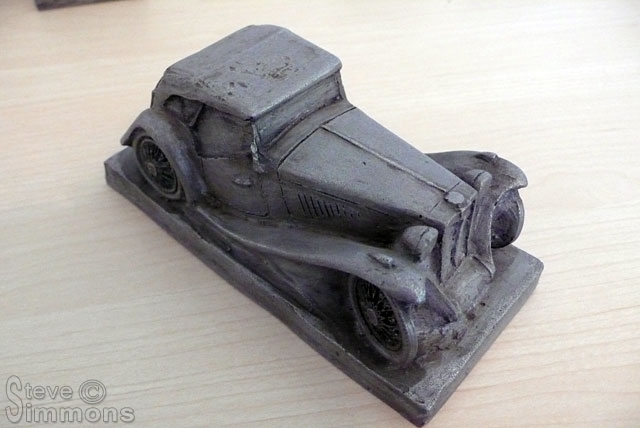 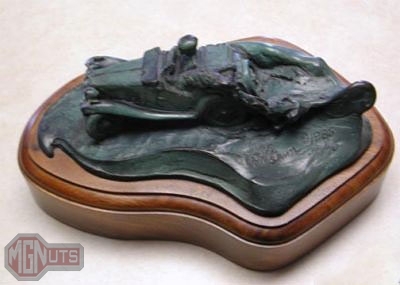 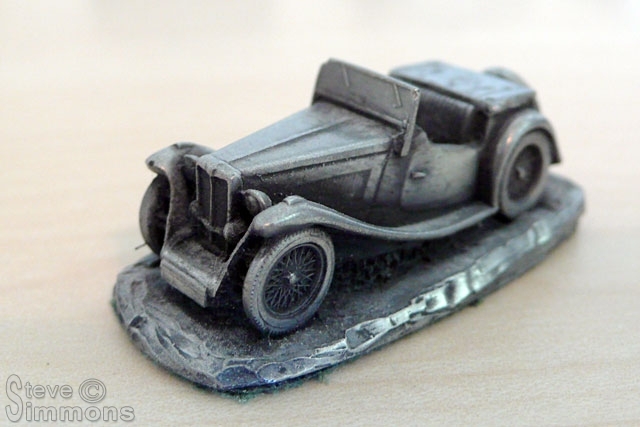 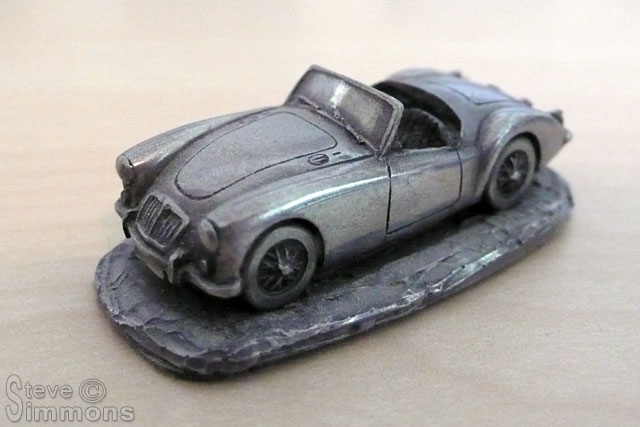 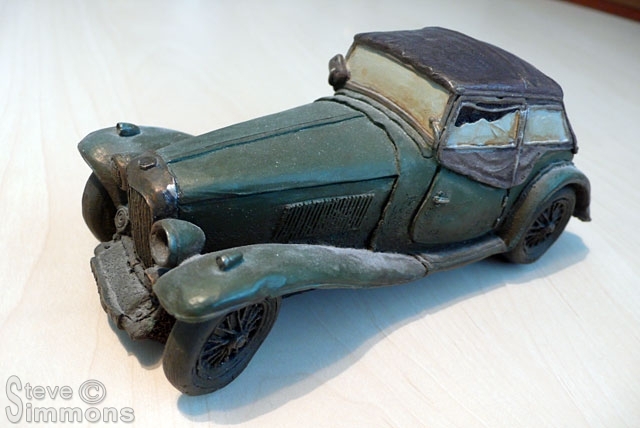 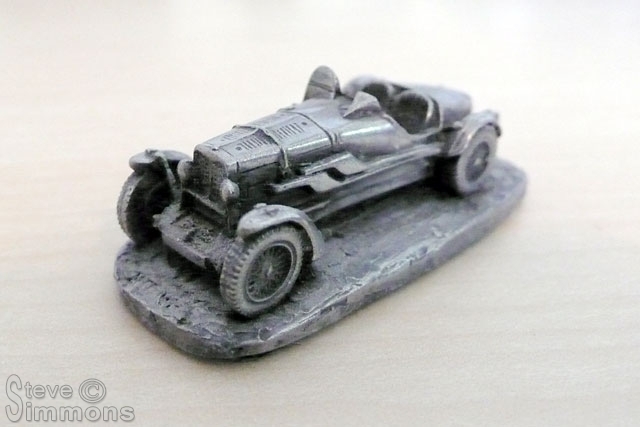 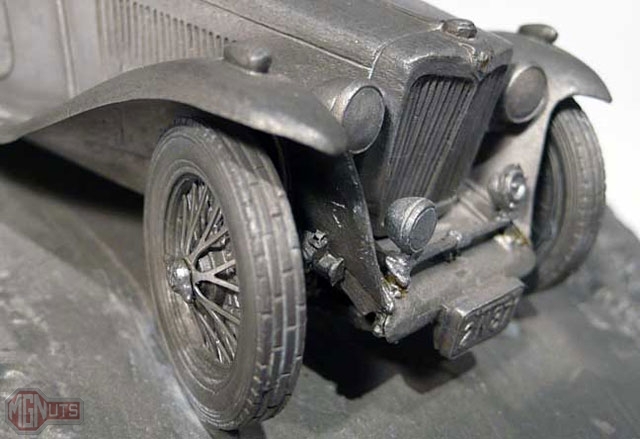 Made in pewter for the Sports Car Club of America, as “An official tribute to the MG TC”. 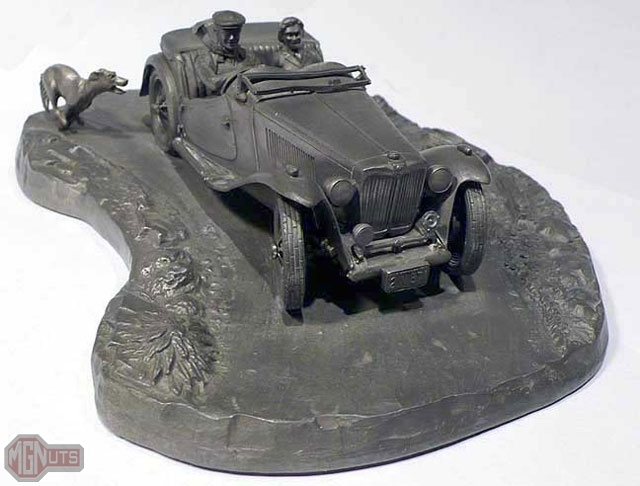 These models can be found both with and without the chasing dog, but no one seems to know for sure if they ever came with the dog or if these were added later. 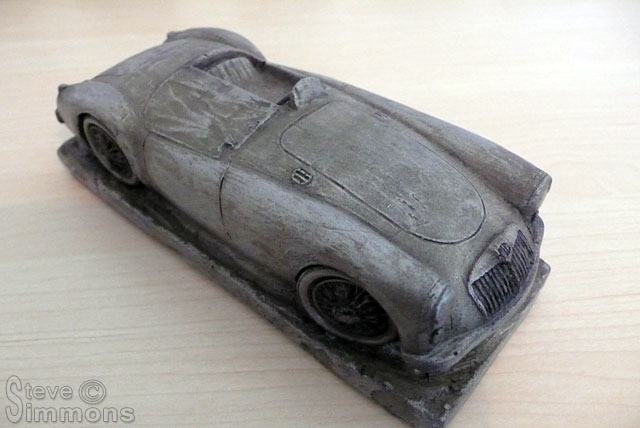 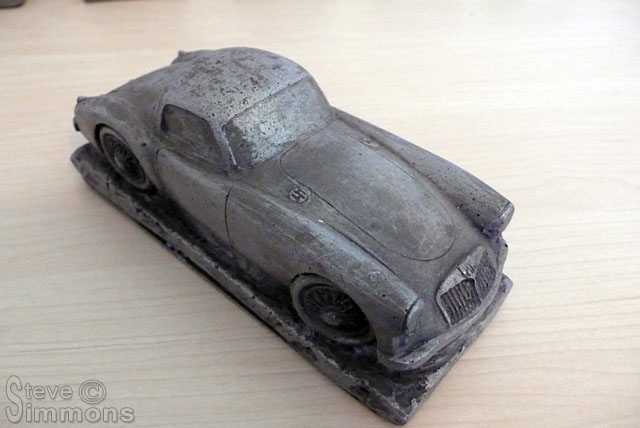 The dog has also been seen on the Jaguar XK-140 “Breezin” version of this sculpture.